We have a wide range of aircrafts at our disposal for flights to and from Jersey, all of which are all new and modern inside and out with constant checks carried out and all certifications of each aircraft up to date. 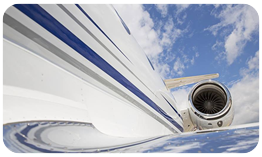 Aircraft choice is crucial to your journey whether the choice is made on price, style or passenger numbers you’re sure to find the perfect aircraft for you. Contact us to discuss your flight and we will be able to talk to you about which aircrafts would be best for your journey based upon cost effectiveness if required. We can also tell you about the specifications of each aircraft or even show you the aircraft itself inside and out, for further information on any of our aircrafts just click on the aircraft you want to see in more detail and see what you think, then when you speak to one of our advisors you can ask about one of the aircrafts you like and see if it is suitable for your journey.